You’re wrong, Menasor! For you, I have nothing else! 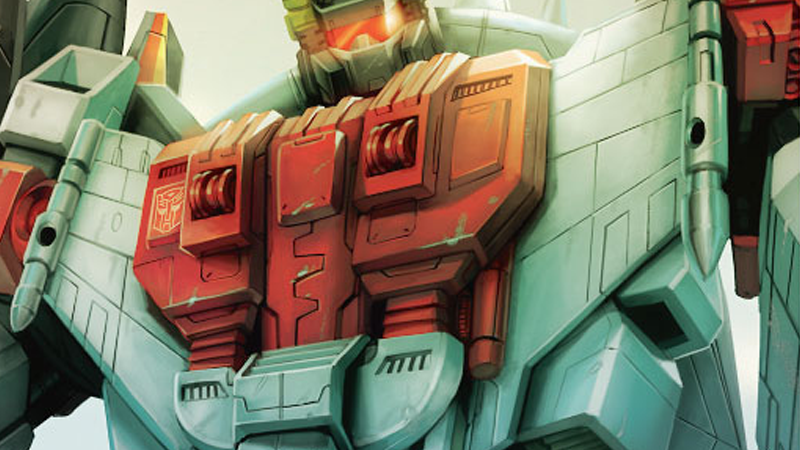 io9 is excited to reveal the first look at the Superion cards coming in Rise of the Combiners on March 1. As with Predaking, in order to form Superion, players will have to put five different cards onto the field—specifically, of course, the Aerialbots: Air Raid, Alpha Bravo, Fireflight, Silverbolt, and Skydive. An exclusive look at the Aerialbot cards you’ll need to make Superion a part of your team. Like all other Transformers in the game, the Aerialbots can still transform into their own vehicle forms—it’s just that, unlike most Transformers cards, you don’t actually physically flip them over to reveal their alternate stats and transformed mode. That’s because, after activating the right “Enigma” card, flipping them over and lining the right ‘bots in the right places together reveals that—when all are one—they’ve got the ginormous art of Superion on the back! It’s a wonderful way to utilize the combining aspect of the Combiner Transformers within the mechanics of a card game—which, from the flip-to-transform double-sided cards to absurdly-giant-sized ones representing the bulkier bots already, Transformers Trading Card Game has a lot of so far. What’s next after the Combiners? We’ll have to wait and see, but I hope we’re not too far out from having to construct elaborate card structures for some really major transformations or something! Rise of the Combiners—which will also bring in triple-change Transformers to the game as well as several other new mechanics and rules tweaks—booster cards will be available starting March 1.